Here is the list of the hotels near Montliot-et-Courcelles. Book your hotel near Montliot-et-Courcelles today, Friday 10 May for the best price, reservation and cancellation free of charge thanks to our partner Booking.com, leader in on-line hotels reservation. Below here is the list the 50 closest hotels of Montliot-et-Courcelles, sortable according your criteria. You will find the position of these accommodations on the Montliot-et-Courcelles hotels map. Located in Burgundy, 2 hours from Paris and 3 hours from Lyon, close to the Wine Route, Hotel Le Magiot offers you a warm welcome. Have a restful night of sleep in one of the rooms, featuring a simple and functional decoration. Offering a calm and natural environment, Hotel Le Magiot features a terrace where you can have breakfast in the morning. Free private parking in a garage is available on site. The Magiot is set close to the Châtillon vineyard, renowned for its famous local wine, the crémant de Bourgogne. La ferme du mont lassois is situated in Vix, 44 km from Colombey-les-deux-Églises. Free private parking is available on site. Certain units feature a seating area to relax in after a busy day. You will find a kettle in the room. Extras include free toiletries and a hairdryer. La ferme du mont lassois features free WiFi . Châtillon sur Seine is 7 km from the property and 37 km from Fontenay Abbey. Set in a 19th-century building, Sylvia Hôtel is located in Châtillon-sur-Seine, just 800 metres from the town centre. It offers a garden, an outdoor terrace and a conservatory with billiard table and board games. All of the rooms at Sylvia Hôtel feature a flat-screen TV, a desk and a garden view. Each room has a private bathroom with free toiletries and a bath or a shower. A continental breakfast is served each morning in the dining room. You can relax at the on-site bar and there is a traditional restaurant in the town centre. Free Wi-Fi is provided throughout at Sylvia Hôtel. Free private parking is possible on site and a garage is available for motorbikes. The Abbey of Fontenay is 35 km from the property. Located in the centre of Châtillon-sur-Seine, this hotel provides free Wi-Fi and rooms with flowered balconies. Guests are invited to admire the panoramic views of the town square and dine at the nearby restaurant. All of the soundproofed rooms at Hotel Le Saint Vorles feature a flat-screen TV, a desk and a private bathroom with a bath or a shower. Each morning guests can choose between a continental and a buffet breakfast. The hotel’s restaurant is just 40 metres away and serves traditional dishes from the region and European specialities. Free public parking is possible nearby and the Musée du Pays Châtillonnais is 500 metres from the hotel. Auberge des Capucins offers accommodation in Châtillon-sur-Seine. Every room comes with a flat-screen TV. Every room is equipped with a private bathroom. You will find a shared lounge at the property and breakfast is served daily. Colombey-les-deux-Églises is 46 km from Auberge des Capucins, while Semur-en-Auxois is 46 km from the property. Gites Rural De La Douix is set in Châtillon-sur-Seine. Guests staying at this apartment have access to free WiFi and a fully equipped kitchen. The apartment consists of 1 separate bedroom, 1 bathroom with free toiletries and a hair dryer, and a seating area. A flat-screen TV is available. B&B Le Jardin de Carco offers accommodation with a garden and free WiFi. The daily breakfast offers continental and Full English/Irish options. The bed and breakfast offers a sun terrace. A bicycle rental service is available at this property and cycling can be enjoyed nearby. Maison de Vacances - Bouix is located in Bouix. The accommodation features free WiFi. The holiday home includes 4 bedrooms, a kitchen with a dishwasher and a fridge, as well as a coffee machine. A TV and DVD player are featured. Guests can relax in the garden at the property. Set in Mussy-sur-Seine, surrounded by the Champagne vineyards and forests, 1.5 km from the Route du Crémant de Bourgogne, this half-timbered house is located 50 km from Troyes and 35 km from the Orient Lakes and Forest. The guest rooms at La Promenade are provided with a hairdryer, free toiletries and a wardrobe. Some of them have a shared bathroom. An organic breakfast is served each morning in the communal dining room. You can also cook your meals in the communal kitchen, which has a coffee machine, microwave and electric kettle. You are invited to relax on the terrace or in the property’s lounge. A garage for bikes and motorbikes is available on site and free private parking is also provided. Guest accommodation Marcenay Preferred hotel ! La Closerie is situated in Marcenay. Guests staying at this holiday home have access to free WiFi, a fully equipped kitchen, and a balcony. The holiday home includes 1 bedroom, a living room, and 1 bathroom with a hair dryer. A flat-screen TV is offered. Hotel Courban Preferred hotel ! Set near the famous vineyards of Chablis and Champagne, the Chateau de Courban & Spa is set in a 17th-century castle. It offers 300m² spa with a sauna, hot tub and outdoor swimming pool. This boutique hotel offers individually decorated elegant rooms. Each has a private bathroom and some have Italian showers. All rooms offer views of the garden, forest or swimming pool. They also have Wi-Fi access. The on-site gastronomic restaurant serves French dishes with an Asian touch prepared by a Japanese chef and the morning buffet features a continental-style breakfast. The Nuxe Spa provides beauty and massage treatments. It also has hammam facilities and a solarium. After a day of pampering, guests can relax by the fireplace and read from the hotel library. The hotel is easily accessed from the A5 (26 km away) and guests may choose to visit Châtillon-sur-seine, a 15-minute drive away. Charging stations for electric cars are available at this property. Set in Villiers-les-Moines, Le Commandant provides a private pool. Featuring free WiFi, the property also has barbecue facilities and a garden. The holiday home has 4 bedrooms and a fully fitted kitchen with a dishwasher. A TV is provided. The holiday home offers a sauna. A terrace is available for guests to use at Le Commandant. Situated in Laignes in the Burgundy region, Le Marronnier has a terrace. Guests have access to free WiFi. This holiday home comes with a kitchen, a seating area, and a satellite flat-screen TV. Chablis is 47 km from the holiday home. "LA RUCHETTE" is located in Laignes. The accommodation is 46 km from Chablis. This holiday home comes with a seating area, a kitchen with an oven, and a flat-screen TV. The accommodation also comes with 1 bathroom with a shower and a washing machine. Located in Aisey-sur-Seine, Hôtel du Roy is 16 km from Châtillon sur Seine. It offers a garden, a terrace and free Wi-Fi access. There is an à-la-carte restaurant at the property. All simply decorated rooms offer a flat-screen TV and a private bathroom with free toiletries and a bath or shower. A continental breakfast can be enjoyed every morning at Hôtel du Roy. Homemade French meals prepared with local products are available upon request. This property is 27 km from Montbard and free private parking is available on site. Gite La Ptite Lazz is located in Les Riceys. Guests staying at this holiday home have access to free WiFi, a fully equipped kitchen, and a terrace. This holiday home has 4 bedrooms and 1 bathroom equipped with a shower and a hair dryer. A flat-screen TV is offered. The holiday home offers a barbecue. Guests at this property can enjoy hiking nearby, or make the most of the garden. The nearest airport is Châlons Vatry Airport, 116 km from Gite La Ptite Lazz. Situated in Les Riceys, in the Côte des Bars, Erika provides accommodation with a seating area and flat-screen TV. Free WiFi is also provided. The units have a fully equipped kitchen with an oven, coffee machine, and a microwave. There is also a fridge, stovetop and a kettle. A continental or buffet breakfast can be enjoyed at the property. There is an in-house restaurant, which specialises in French cuisine. Troyes and Colombey-les-deux-Eglises are 46 km from the apartment. Free private parking is available on site. The nearest airport is Châlons Vatry Airport, 114 km from the property. Situated in Les Riceys, La poupée Bru features accommodation with private terraces. Guests can enjoy garden views. At the guest house, all rooms are fitted with a desk, a flat-screen TV and a private bathroom. The units will provide guests with a wardrobe and a kettle. A continental breakfast is served each morning at the property. Troyes is 46 km from La poupée Bru. The nearest airport is Châlons Vatry Airport, 114 km from the property. La Villa de Jeanne is located in Les Riceys. Free WiFi access is available in this holiday home. The accommodation will provide you with a terrace and a seating area. There is a full kitchen with a dishwasher and a microwave. Featuring a shower, private bathrooms also come with a hairdryer. You can enjoy garden view from all the rooms. An array of activities can be enjoyed on site or in the surroundings, including cycling, fishing and hiking. The property offers free parking. Featuring free WiFi throughout the property, La Belle Isle offers pet-friendly accommodation in Les Riceys. The bed and breakfast has a barbecue, children's playground and sun terrace, and guests can enjoy a meal at the restaurant. Free private parking is available on site. All rooms are fitted with a flat-screen TV. Every room comes with a private bathroom. Extras include free toiletries and a hairdryer. Guests can enjoy barbecue facilities on site upon prior request. A number of activities are offered in the area, such as cycling, fishing and hiking. Troyes is 39 km from La Belle Isle, while Colombey-les-deux-Églises is 45 km away. Vatry International Airport is 87 km from the property. Guest accommodation Cunfin Preferred hotel ! Set in Cunfin in the Champagne - Ardenne region, Relais de la Fontaine - Maison de charme features a terrace. Guests staying at this holiday home have access to a fully equipped kitchen. The holiday home has 2 bedrooms and 1 bathroom with a shower and a hair dryer. A flat-screen TV is provided. Colombey-les-deux-Églises is 34 km from the holiday home, while Chaumont is 42 km away. Bed and Breakfast Gigny Preferred hotel ! 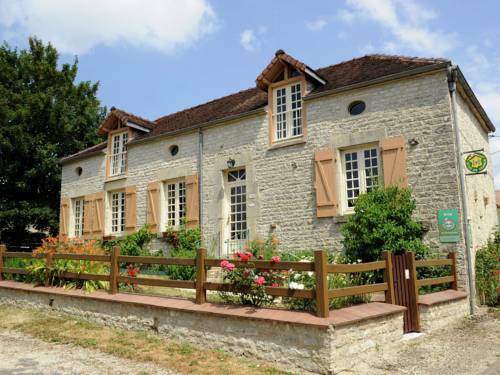 An old farm sitting in a 1000m² garden, La Grande Vesvre is located 20 km from Nuits-sous-Ravières Train Station and offers en suite accommodation, a common living room and free Wi-Fi throughout. Decorated in a classic style, the rooms at La Grande Vesvre feature exposed beams and the private bathrooms are complete with a shower and toilet. A continental breakfast is served every morning and includes homemade and local products. Guests can also use the on-site kitchen to prepare their own meals. The Abbey of Fontenay, a UNESCO World Heritage Site, is 50 km from La Grande Vesvre, and Auxerre is 60 km away. Free private parking is possible on site. Hotel Les Riceys Preferred hotel ! The 3-star Hotel Le Marius sits next to the church of St Peter in Chains in the village Les Riceys. It offers spacious guestrooms with flat-screen TV and free Wi-Fi. Le Marius has a restaurant which serves traditional and regional cuisine made with local products. Its 2 large dining rooms are housed in a vaulted cellar. Meals can be accompanied by some of the region’s finest wines. Breakfast is served in the rooms or you can have a cold buffet in a very cordial breakfast room with view on the church. Les Demoiselles is offering accommodation in Essoyes. The 3-star hotel has air-conditioned rooms with a private bathroom and free WiFi. The restaurant serves European cuisine. At the hotel, the rooms are equipped with a desk. All rooms are fitted with a flat-screen TV, and selected rooms also feature a balcony. The units include a wardrobe. A continental breakfast can be enjoyed at the property. Les Demoiselles offers a terrace. Guests at the accommodation will be able to enjoy activities in and around Essoyes, like cycling. Colombey-les-deux-Églises is 43 km from Les Demoiselles. Châlons Vatry Airport is 112 km from the property. Les chambres de Rochefort offers pet-friendly accommodation in Rochefort sur Brévon, 50 km from Langres. Free private parking is available on site. Some rooms have a seating area for your convenience. A flat-screen TV is offered. Free Wi-Fi is provided in this property. You will find a shared kitchen and a play room at the property. A number of activities are offered in the area, such as golfing and horse riding. The bed and breakfast also offers bike hire. Saint-Michel is 45 km from Les chambres de Rochefort, while Semur-en-Auxois is 39 km from the property. Holiday Home Landreville Rue De Crais is situated in Landreville. The accommodation is 43 km from Troyes. The holiday home includes 2 bedrooms and a living room with a TV. Colombey-les-deux-Églises is 49 km from the holiday home. The nearest airport is Châlons Vatry Airport, 106 km from the property. Situated in Lanty-sur-Aube in the Champagne - Ardenne region, Defoit features a garden. This holiday home provides barbecue facilities as well as a terrace. This holiday home is equipped with 2 bedrooms, a TV, and a kitchen with a dishwasher. Colombey-les-deux-Églises is 31 km from the holiday home. Offering a garden, La Brevonniere is a B&B with stone walls and exposed wooden beams located in Beaulieu. You can relax on the terrace and BBQ facilities are provided. Free Wi-Fi access is also available. With garden and river views, the rooms at La Brevonniere have a flat-screen TV. Each room also comes with a bath or a shower and toilets. Breakfast is included in the rate and served each morning in the dining room. You will have access to a shared kitchen and lounge. An array of activities can be enjoyed on site or in the surroundings, including horse riding, hiking and fishing. Guest accommodation Polisy Preferred hotel ! Set in Polisy, Charmante Maison Pierres 1768 offers accommodation with free WiFi and flat-screen TV, as well as barbecue facilities and a garden. All units come with a terrace, a kitchen with an oven, and a private bathroom. Some units feature a dining area and/or a balcony. If you would like to discover the area, cycling is possible in the surroundings. Troyes is 39 km from the holiday home. The nearest airport is Châlons Vatry Airport, 107 km from the property. Located in Jully, La maison d'Agnes en Haute Bourgogne features accommodation with a terrace and free WiFi. The property features garden views and is 46 km from Chablis. Boasting a DVD player, the holiday home has a kitchen with a dishwasher, an oven and a microwave, a living room with a seating area and a dining area, 3 bedrooms, and 2 bathrooms with a bath and a shower. A TV with satellite channels is featured. Semur-en-Auxois is 44 km from the holiday home. Dating back to 1837, La Grille Fleurie is set in a stone house and offers B&B accommodation with garden views. There is a music room and library at the property. There is a 24-hour front desk at the property and both free WiFi access and free private parking on site are provided. The breakfast can be served in the dining room or on the terrace during nice weather. Guests can also enjoy a homemade meal with wine upon reservation in advance. Free use of bicycles is available at this bed and breakfast and the area is popular for cycling. Guests can also book a chauffeur driven Citroën 2CV at the property to explore the area. Troyes is 42 km from La Grille Fleurie, while Chablis is 35 km from the property. Holiday Home Les Glycines is situated in Arthonnay. Guests staying at this holiday home have access to a fully equipped kitchen. The holiday home is fitted with a TV and 5 bedrooms. There is a garden at this property and guests can go cycling nearby. Troyes is 46 km from the holiday home, while Chablis is 42 km away. Situated in Recey-sur-Ource in the Burgundy region, Maison Familiale À Recey-Sur Ource has a terrace. This property offers access to free WiFi. This holiday home comes with a kitchen, a seating area, a dining area and a cable TV. The holiday home also provides a washing machine and 1 bathroom with a shower. Langres is 47 km from the holiday home. La Grive d'Arce is a detached holiday home featuring a garden and free private parking. Bar-sur-Seine is 3 km from the property and Troyes is 35 km away. Free WiFi is provided. The equipped kitchen features an oven and a microwave. Dolancourt is a 30 minutes' away by car. The nearest airport is Vatry International Airport, 77 km from La Grive d'Arce. 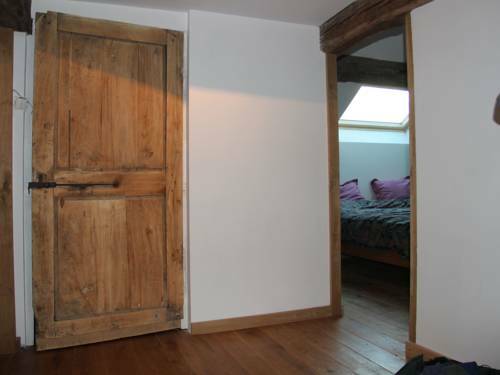 Set in Cruzy-le-Châtel, "LA LOUPIOTTE" features accommodation with a patio and free WiFi. The accommodation is 35 km from Chablis. This holiday home has 1 bathroom with a bath, a bidet and a hair dryer. A dishwasher and an oven can be found in the kitchen. Located between Bar sur Seine and Merrey sur Arce, Seine en Bulles guesthouse is situated in a park of 3 hectares and offers free WiFi and a private parking. The property offers a detached suite made up of 1 large bedroom, private bathroom with a walk-in shower and a living room with a single bed and a TV. The living room offers garden views. Some other bedrooms offer a private bathroom. A continental breakfast is served daily and consists of fresh, seasonal products. You can also find several restaurants nearby. Activities include walking in the park and canyoning along the river. Guests also have the possibility to participate in champagne tasting with local winemakers. Gite au Chalet is a guest house located in the countryside 38 km from Forêt d’Orient Regional Park. This traditional cottage has an original stone fireplace and a TV and DVD player in the lounge. With 3 bedrooms and 3 bathrooms, this guest house has an authentic decoration with exposed beams and stone walls. A washing machine is featured and linen and towels are supplied. You can prepare homemade meals in the kitchen using the oven, stove, microwave and fridge. A dishwasher is also provided and the village supermarket is open from Tuesday to Sunday morning. Private parking is free on site and the town of Bar-sur-Aube is 18 km away. Charging stations for electric cars are available at an extra cost. Popular activities in the area include hiking and cycling. Located in Bar-sur-Seine, Hôtel du Commerce is 9 km from the A5 motorway and 32 km from Troyes. It offers rooms with free Wi-Fi access and a flat-screen TV with cable channels. There is a restaurant on site. A private bathroom with free toiletries, a hairdryer and a bath or shower is provided in each room. A telephone and a wardrobe are also available. A continental breakfast can be enjoyed every morning at Hôtel du Commerce and it can be served in the comfort of your room. The on-site restaurant proposes French specialities and includes a bar where guests can have a drink. This property is a 15-minute drive from Troyes Golf Course and 24 km from Orient Forest Regional Park. Free private parking is available on site. Chateau les Hirondelles de Gurgy is situated in Auberive. Free WiFi is provided. A continental breakfast can be enjoyed at the property. Colombey-les-deux-Églises is 49 km from the country house. Maison Individuelle Les Templiers is located in Bure-les-Templiers. The property features garden views and is 46 km from Langres. The holiday home is equipped with a TV and 1 bedroom. The property also has 1 bathroom comes with a shower. Saint-Michel is 45 km from the holiday home. The nearest airport is Dole - Jura Airport, 110 km from the property. La Maison En Bois is located in Paris-lʼHôpital. Every room includes a terrace. The units at the guest house are fitted with a seating area. Certain rooms include a kitchenette with a microwave and a toaster. The rooms will provide guests with a fridge. Avallon is 47 km from La Maison En Bois. La Centième is set in Bligny and offers barbecue facilities. Guests staying at this holiday home have access to a terrace. With free WiFi, this 3-bedroom holiday home offers a TV, a washing machine and a kitchen with a dishwasher and oven. Guests can also relax in the garden. Colombey-les-deux-Églises is 28 km from the holiday home, while Montier-en-Der is 44 km away. The nearest airport is Châlons Vatry Airport, 106 km from La Centieme Bligny. Offering free WiFi and garden views, Gîte des Bocquins is an accommodation set in Chassignelles. The holiday home is in an area where guests can engage in activities such as cycling and darts. This holiday home is equipped with 3 bedrooms, a kitchen with dishwasher, a flat-screen TV, a seating area and 2 bathrooms with a shower. The holiday home offers a barbecue. If you would like to discover the area, fishing and hiking are possible in the surroundings. Avallon is 45 km from Gîte des Bocquins. Situated in Maisons-lès-Chaource in the Champagne - Ardenne Region, 33 km from Troyes, La Villa des Chouettes boasts a terrace and views of the garden. Free private parking is available on site. This property features a family suite and a caravan. Each accommodation features a private bathroom fitted with a bath or a shower. Free WiFi is available throughout. Guests can enjoy a homemade breakfast each morning. Chaource is 6 km from La Villa des Chouettes, while Chablis is 35 km from the property. The nearest airport is Vatry International Airport, 85 km from La Villa des Chouettes. Gîte bois Martin is set in Urville and offers a garden. The accommodation is 24 km from Colombey-les-deux-Églises. The holiday home features a TV and 2 bedrooms. The holiday home also comes with a fully equipped kitchen with an oven and a microwave, a dining area and 1 bathroom. The holiday home offers a terrace. Chaumont is 50 km from Gîte bois Martin. Châlons Vatry Airport is 113 km away. Offering views of the Canal de Bourgogne, Le Clos Du Murier is located in Chassignelles, just 20 km from Chateau de Tanlay. It offers free access to an outdoor swimming pool and a sauna. The rooms at Le Clos Du Murier are decorated in a traditional style and include a flat-screen TV with cable channels. Each one is also complete with an en suite bathroom and free Wi-Fi access. A continental breakfast, a fitness room and free private parking are just some of the other facilities and services available at Le Clos Du Murier. Local activities include walking and cycling in the surrounding area. Maison d'Hote le Relais offers accommodation in Morville, just 11 km from Montbard and its TGV Train Station. It features a spa and a sauna, both accessible at a surcharge. Decorated with a mix of modern and antique features, all rooms have a TV, free WiFi access and a private bathroom. A continental breakfast is served each morning in the dining room, according to the weather. There is also an on-site bar. Guests can relax in the spa or enjoy the surrounding view of the horses and ponies on the property. Private parking is possible near the property. Maison d'Hote le Relais is 8km de Venarey-les-Laumes and 16 km from Semur-en-Auxois. Hôtel-restaurant de l'Ecluse 79 rests along the Burgundy Canal in the charming village of Chassignelles. Its restaurant serves traditional and local cuisine and has a veranda overlooking the canal. Satellite TV and free Wi-Fi are found in the individually decorated rooms. They are en suite with a shower or bath. Some rooms offer a view over the canal. In the colder months guests are invited in the living room area to sit by the fire place. In the summer months, the shaded terrace offers a quiet place to relax. Hôtel-restaurant de l'Ecluse 79 is just 25 km from Montbard Train Station and 56 km from Auxerre. Free parking is available on site. Located in the countryside of Vougrey, Casteland sits in a flowered garden with a pond and a terrace. It offers B&B accommodation, a cinema room and a shared living room with a library and a billiard table. All of the rooms at Casteland have a wardrobe, a desk and they are all non-smoking. Each has a private bathroom with a shower, a hairdryer and free toiletries. A continental breakfast is included and served each morning in the dining room. Free Wi-Fi is available throughout. Free private parking is possible on site and Cordeliere Golf Course is 5 km from the B&B. Troyes is 30 km away. Below here is the hotels map of Montliot-et-Courcelles. Names and details of Montliot-et-Courcelles hotels can be shown on the map clicking on the prices icons.